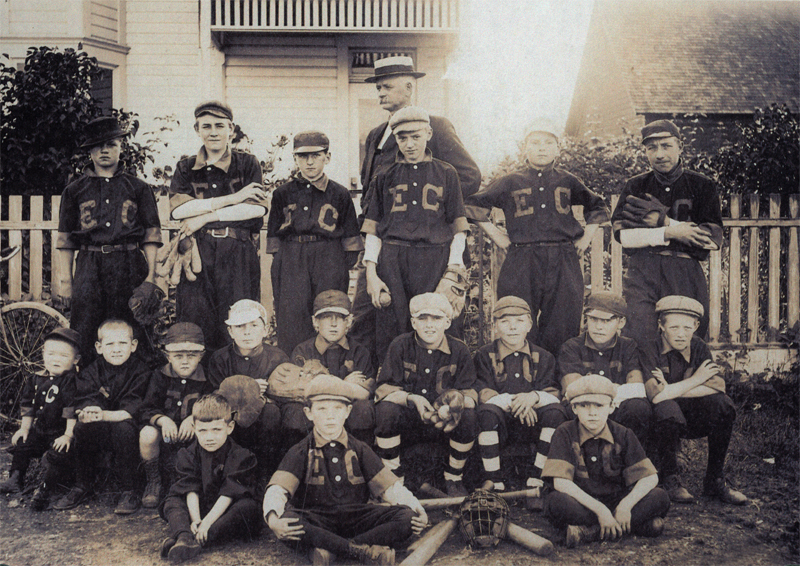 Little League baseball players in Eatonville these days will be interested to know that “way back when,” approximately 1911 the very young of the community were hitting fast balls with Tom Van Eaton the sponsor. When it came to raising money for the uniforms, Tom trotted out his team of horses and recovered $50 worth of abandoned cable, which bought materials for the mothers to make their sons’ uniforms. Back row, left to right — Clarence Williams, Charles McElveley, Ward Nettleton, Harry Smith, George Smith, and Leon McElveley. 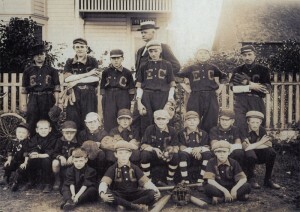 Bottom row, left to right — Cecil Williams, Morgan Williams, Ray Williams, Charles Matheney, Frank Peterson, McKinley Van Eaton, Rudolph Wilson, a Peterson boy and Dave Peterson. Sitting in front — Stanley “Stacky” Williams, Willie Wilson and an unidentified lad.